UAE's leading telecoms services operator Etisalat said its shareholders have backed the board’s recommendation to distribute cash dividends (Dh0.80 per share) for full-year 2018 at the Annual General Meeting (AGM) held recently. 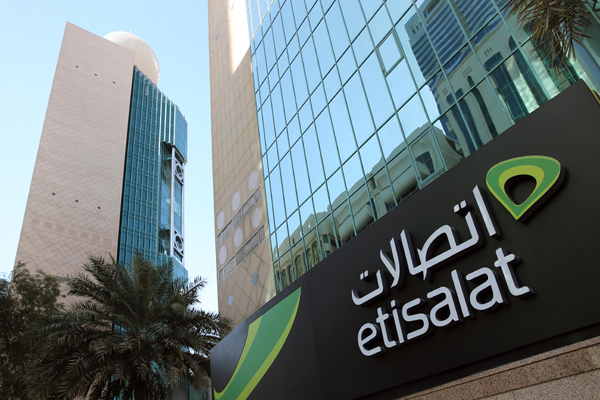 Etisalat Group consolidated revenues reached Dh52.4 billion ($14.2 billion) while consolidated net profit after Federal Royalty reached Dh8.6 billion ($2.3 billion) up 2.4 per cent compared to the same period last year. During the AGM held at the company’s headquarters in Abu Dhabi, the shareholders also approved the proposal to lift restrictions on the voting rights of foreign shareholders. Group Chairman Eissa Mohamed Al-Suwaidi said: "Our journey in 2018, marks another successful year for Etisalat in realising its vision towards driving the digital future to empower societies. As a group, we focused on strengthening our core business, expanding and enriching our digital portfolio, and diversifying into new growth opportunities. We have increased the effort on transforming Etisalat into an agile and more efficient company." "With the emergence of the digital era, there have been dynamic changes and rapid developments in the global telecom sector. Etisalat maintained its leadership position as it continued to transition to a digital organisation both internally and externally," he stated. "As Etisalat continues its journey, it allows new opportunities with every generation of technology that it adopts. Etisalat envisions 5G as a stepping-stone to unlimited potential, a technology that will enable new use cases, widen possibilities, and enhance value creation," remarked Al Suwaidi. "Hence, we were the first to launch the first commercial 5G network in UAE and the region achieving another technological milestone for the company. The fifth generation of the network will fuel digital transformation, IoT, smart cities and the fourth industrial revolution," he added. Group CEO Saleh Abdullah Al Abdooli said: "Etisalat Group made further progress this year in its efforts to lead in the digital space, to transform its operating model, and to enhance value and returns to customers and shareholders. 2018 was rich with accomplishments that will enhance the ability to achieve our vision as a group, which is to drive the digital future to empower societies." "Our portfolio is the most valuable brand in MENA and the first and only brand to surpass the $10 billion, a great feat that puts Etisalat head to head with global renowned brands and ahead of many key regional brands," stated Al Abdooli. According to him, Etisalat’s portfolio currently spans more than 15 countries while serving over 141 million customers. "The technology that we provide and enable, brings individuals and societies closer at a local and global level, such firm belief was the drive behind launching our new brand direction "Together Matter" which embodies the power of technology in connecting and enriching people’s lives," stated Al Abdooli. "Last year also witnessed the launch of e-SIM features for Apple watches, in which Etisalat UAE was the first Mena Telecom operator to offer such a service," he noted.